How amazing really was The Amazing Spiderman? The original Spiderman was one of the most successful and famous movies of the decade when it came out. It grossed 14 million at the box office and became a fan favorite almost immediately. 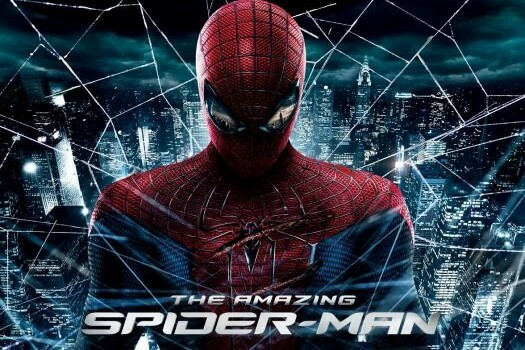 The decision to redo a classic such as Spiderman and add the word amazing in front of it does not usually do justice to a movie, whether it’s the old one of the new one being released in cinemas in 3D. In the case of The Amazing Spiderman, it was different. The Amazing Spiderman is easily a four out of five movie in this reviewer’s opinion. The Amazing Spiderman really did manage to live up to the expectations of most people. Although the movie did use the original Spiderman as inspiration and as part of the story line, The Amazing Spiderman had so many of its own parts to add in to make the story line original that it was a very successful movie. Whether it’s the fact that his “Web-shooters” are man made rather than receiving them with the spider bite; or the fact that the most famous line from the first movie was not inculcated in “With great power comes great responsibility.” Although The Amazing Spiderman did leave out some parts where it was quite debatable whether they should have or not, they still managed to make a good movie. The Amazing Spiderman was fresh in cinemas and was definitely a good spin on the original concept. The Amazing Spiderman also includes a different villain from the first movie. Although the villain did manage to stay the color green, this time instead of having someone from the Osborn family posing as a Green Goblin; the antagonist in this film was The Lizard. The Lizard is the result of Dr. Curt Connors accidentally mutating himself and then losing control of the new body he has acquired. The Lizard is quite an interesting spin on The Amazing Spiderman. But the real question would be, is The Green Goblin better than The Lizard in terms of being a villain? The Lizard is a fierce and ruthless creature that terrorizes New York City by using biological warfare and brute force. The Lizard has no real hate for Spiderman, he only doesn’t like that he gets in his way. The Green Goblin had a personal grudge for Spiderman. The personal grudge that The Green Goblin had for Spiderman was a much more interesting concept. The only problem is that it was not executed as well. The Lizard whose story line was not as interesting as the one of the original Spiderman, was executed much better than could have imagined. Although the Original Spiderman is a movie that can never be forgotten, it is time to accept the fact that someone came along and matched it. I know for a fact that not everyone will agree with me when I say that The Amazing Spiderman did not have too much potential to start with, but the way it was executed was what changed everything and made it just so successful. The original Spiderman was truly a great movie that cannot be forgotten, but as times change so does taste. The Amazing Spiderman is the new pick for the Spiderman series. The people have spoken, and with they’re words and choices they have decided that The Amazing Spiderman is the superior movie. This reviewer may not completely agree with that, but he cannot deny that it was a very interesting spin on the Spiderman series. It was not my favorite movie going in, but coming out after definitely made me rethink my opinion. The Amazing Spiderman truly was amazing, and no amount of criticism from me or any critic can make it anything less than what it was. Toby Maguire had his success; Andrew Garfield now has the spotlight, let’s see if he uses this opportunity well. Let us see if there will be a sequel. Maybe one day we will all see, The Amazing Spiderman 2. But until then The Amazing Spiderman, is definitely a movie worthy of your time and worthy of the money you spend on it. I'm just a guy trying to be as good as a guy can be, thats the kind of guy I want to be.